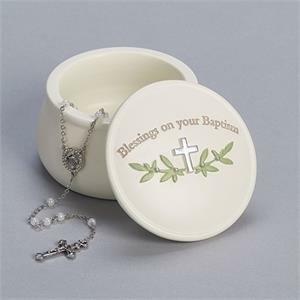 2"H Baptism Keepsake Rosary Box. Resin/Stone Mix. Boxed.